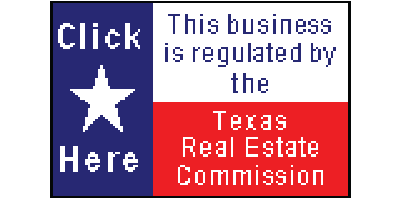 Texas Discount Realty was founded in 2000 in Austin, Texas. Since then we have strived to be a leader and innovator in the real estate brokerage industry. Over the past 15 years, we have helped thousands of buyers and sellers save millions of dollars in real estate commissions. Founder Aaron Farmer has always been on the cutting edge of the changing real estate market. In 2005, he was named to the Inman News’ prestigious list of “Most Influential Brokers”. In July of 2006, he testified before a U.S. House of Representatives Committee on the “Changing Real Estate Market.” He has been a panelist at Inman Connect as well at a Department of Justice workshop on Competition Policy and the Real Estate Industry. He has been featured as a source in pieces by the Wall Street Journal, Dallas Morning News, Austin American-Statesman, San Antonio Express-News, USA Today, C-SPAN and NPR radio. Today, Texas Discount Realty is more than just a broker, we facilitate buyers, sellers, and agents in saving money and being more productive in their real estate transactions. We place sellers and buyers with the experienced Realtors of our sister companies or with the like-minded brokers and agents of other companies. IF YOU ARE A BUYER, SELLER, OR AGENT AND WOULD LIKE MORE INFORMATION ABOUT OUR PROGRAMS, PLEASE FILL OUT THE FORM BELOW AND WE WILL PERSONALLY CONTACT YOU.